Star Wars Land To A Galaxy Near You? 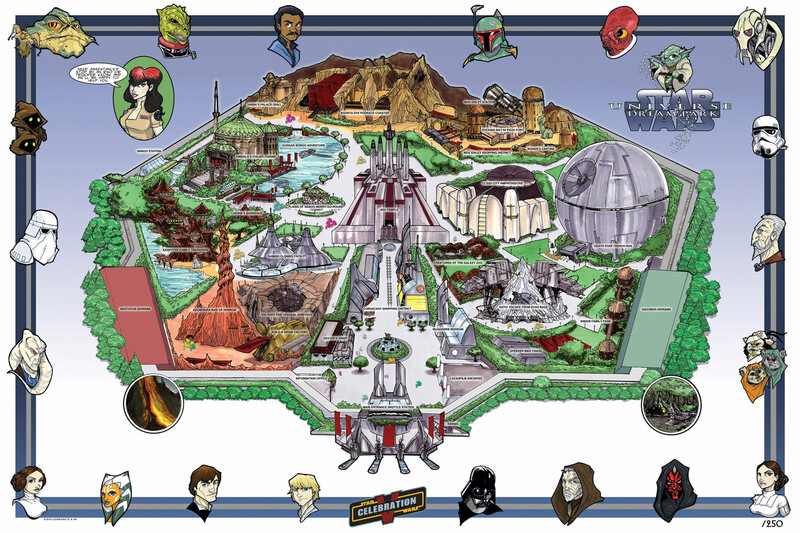 For many geeks out there in the galaxy, The thought of a Star Wars theme park is something that dreams are made of. And an idea that many of your average park goers would love to see. (search your feelings, you know it to be true) Just think about the possibilities for a moment. With such diverse settings as Tatooine, Hoth, Endor, Coruscant (and who wouldn’t want to see the Epcot Spaceship Earth turned into the Epcot Deathstar!) And an entire universe of attraction/ride options. The possibilities are absolutely endless. Well If the rumors that are whirling around like a Pod race (but with far less CG) are true. The above image may be closer to reality then you may think. Sources are now saying that Disney World President George Kalogridis and his team are preparing to revamp the Orlando, Florida based Hollywood Studios. A planned 5 year project that has reportedly been green lit will bring you a brand new Cars Land and Star Wars Land. If the scuttlebutt is true, the overhaul should begin shortly and we could see the new park in as early as 2018. Be still my imperial beating heart…. Click here to read a full article from one of the sources. Thanks Ricky for bringing this to my attention.